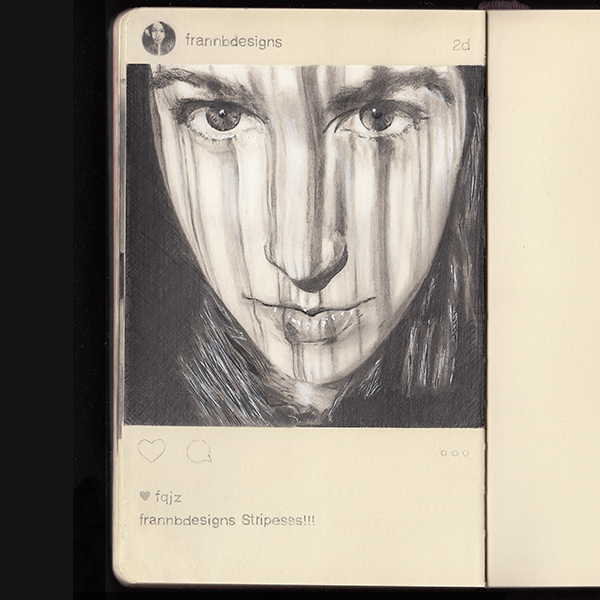 In mid of August 2014, I started a new series of Instagramers on Moleskine III. A list of drawing topics was made and asked Instragamers to nominate their own photos voluntarily. From left: Graphite Pencils 2H HB 2B 4B 6B 8B 10B from Mitsu-Bishi Hi-uni; Blue Lead from Staedtler; Red Lead from Mitsu-Bishi; White Pastel Medium from Faber-Castell; G Nib with Pen Nib Holder from Zebra & Manuscript; White Ink from Dr Ph. 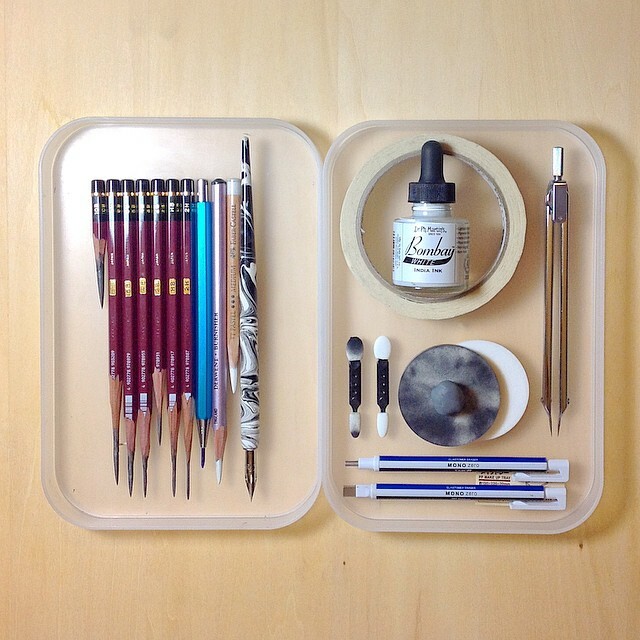 Martin's; Erasers from Tombow; Make-up Sponges (blending); Point Divider (Measurement), etc. Q: How do I nominate the photos? 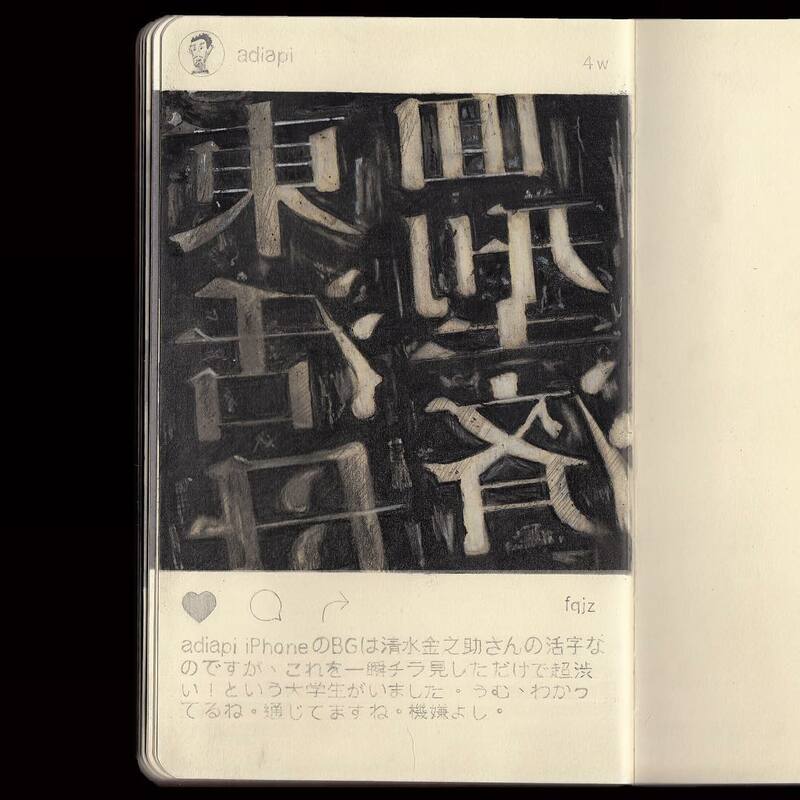 A: Go to the photo; Tap the 3 dots; Tap "Tag People"; Type "FQJZ"; Save. Q: How to get a bigger chance to be drawn? A: I prefer sharp and bright photos. Colorful photo can't always make you win as the drawing is mainly graphite. If you have no idea on color theory, please try nominating the black and white photos. Q: How do I know my photos have been nominated correctly? A: You can find them from my profile under the tab. Q: I nominated my photo correctly but it disappeared from your profile under the tab, why? A: Your photo is not related to the topics, so I remove it. Q: How do I know my photo was selected and will be drawn? A: Usually I'll follow you so that I know more about you, in order to make my work better. Q: I nominated the photo and you followed back. When will be the drawing finished? A: I take weeks to finish one and I have a long drawing list. 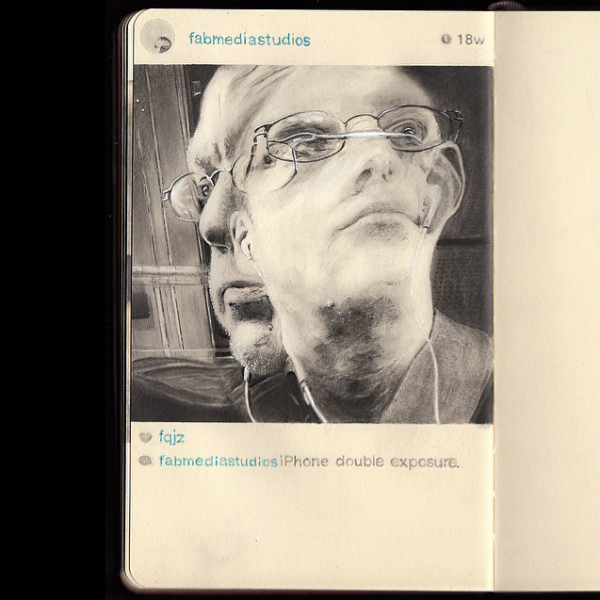 Or maybe your photo is very difficult to draw and I'm still figuring how. Or I changed my mind. Q: Can I send my photo via Instagram Direct Message? 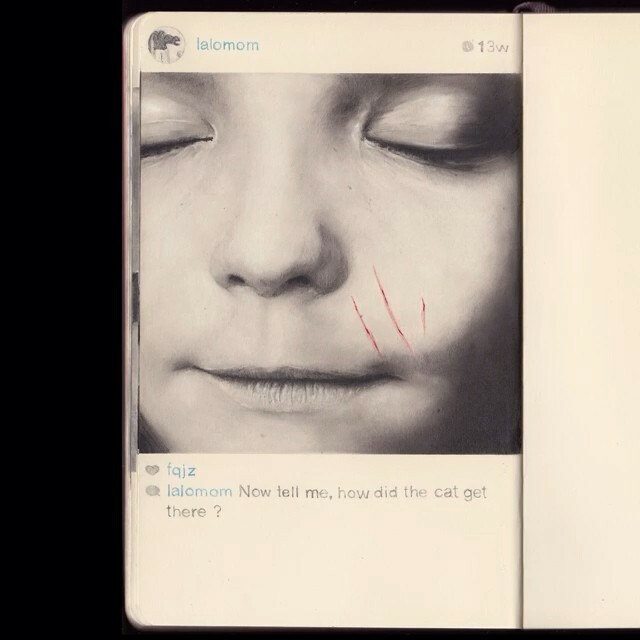 Q: Do you draw private Instagramer? 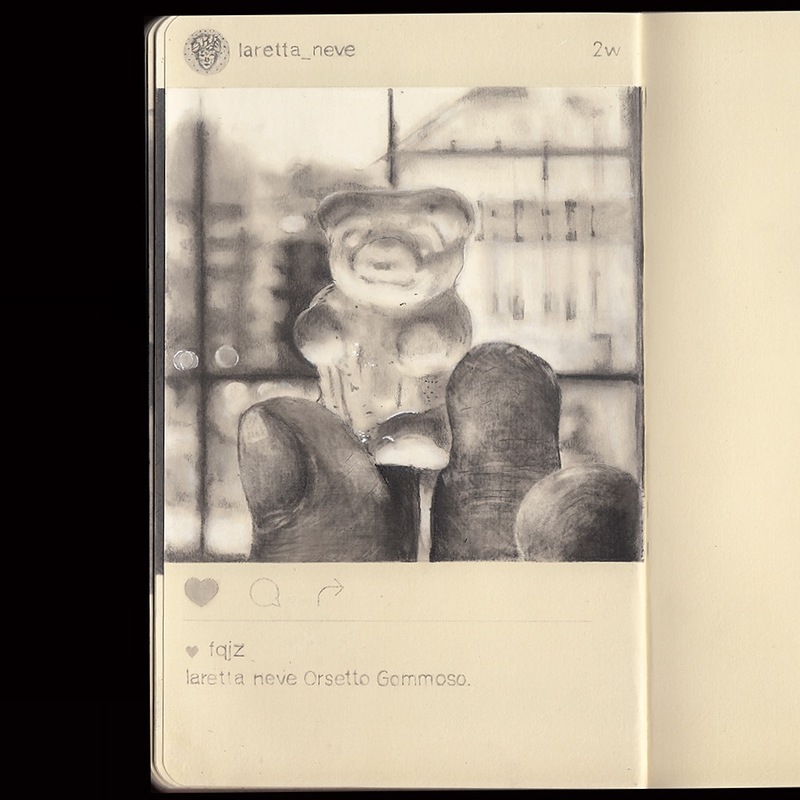 Q: Can I buy your moleskine? 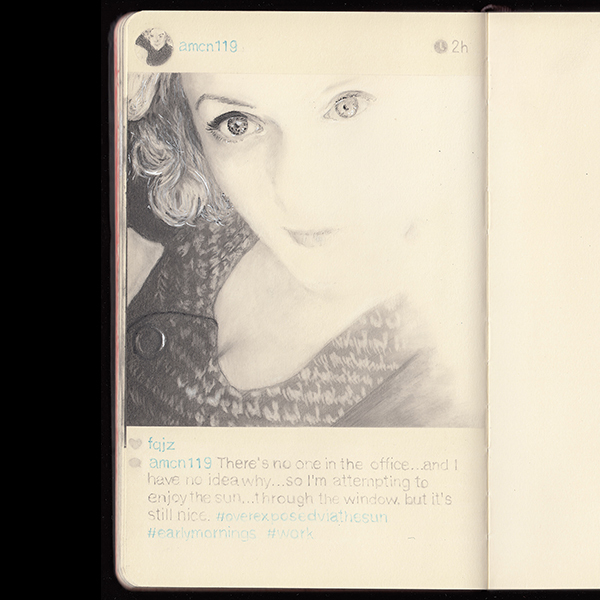 Q: What is your Moleskine? Q: What is your Instagram? 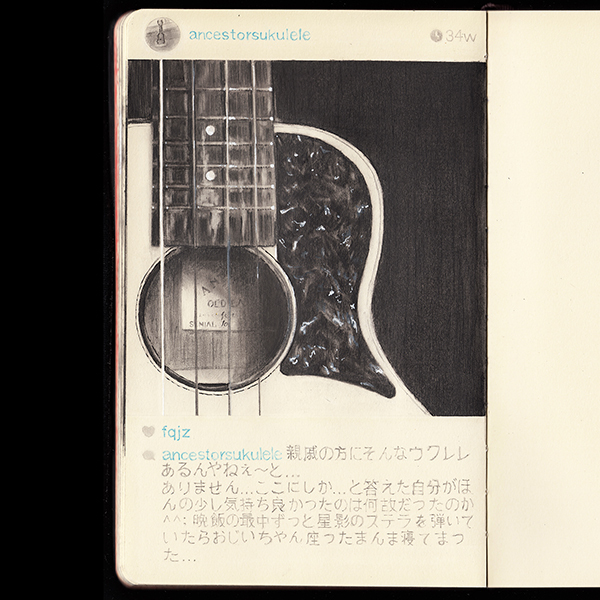 I particulated a ukulele vote contest in mid of May 2014 and I need votes, so I asked the Instagramers that if they voted for me, I would draw them on my Moleskine in return. 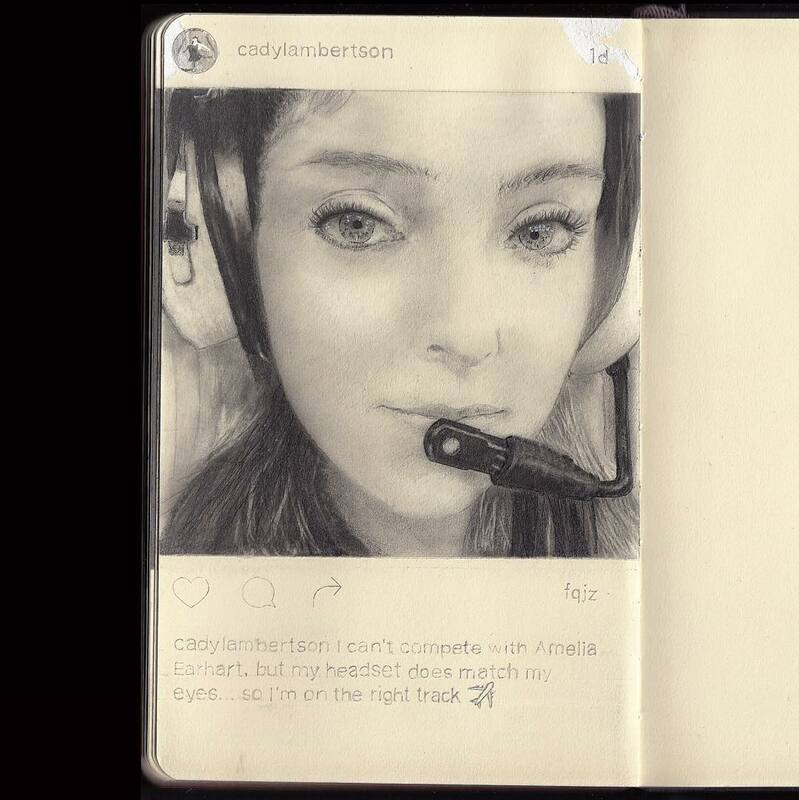 People who are being drawn all are from Instagram platform, never met in person, and they are all volunteers. 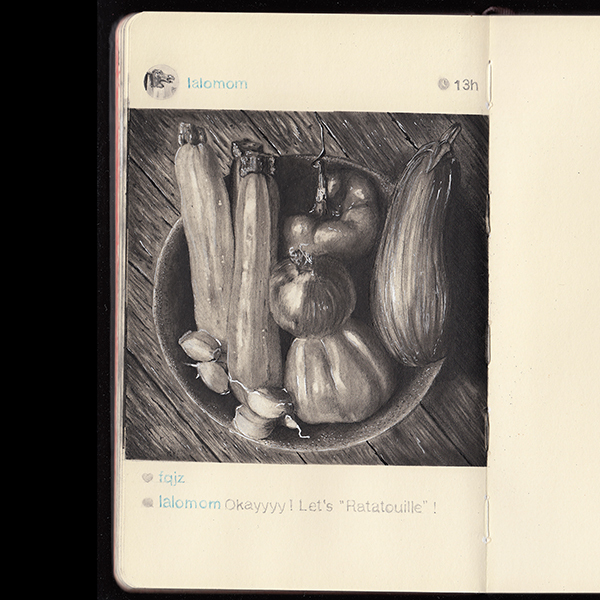 The first few drawings were finished mainly with red lead, and they were some 10-20 min sketchings. There were totally 13 portraits in red lead, 1 in ink. 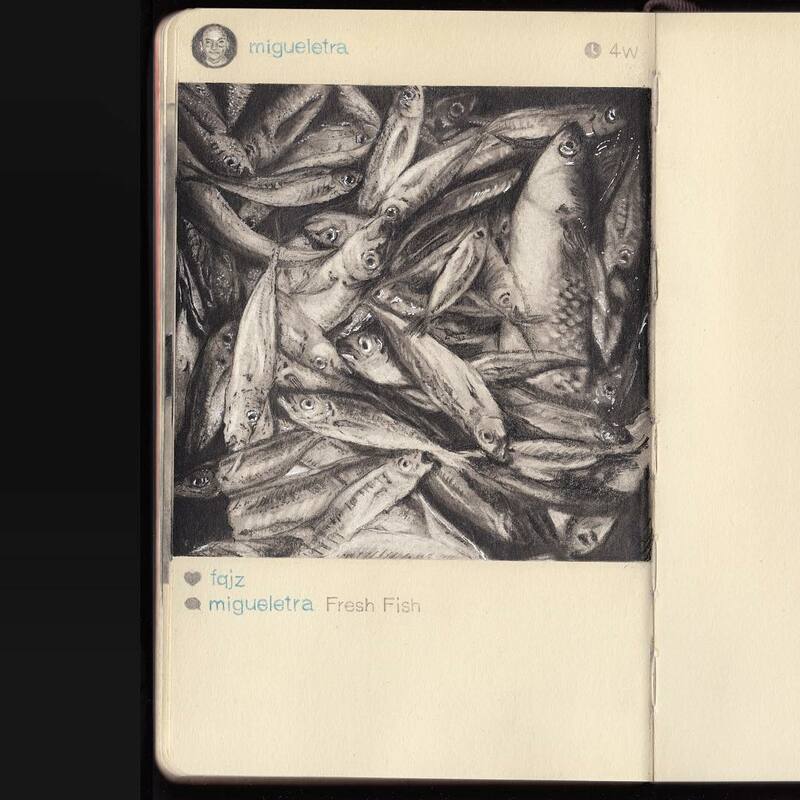 Series II was using the interface of the Instagram as the background and the portrait as the theme. This series mainly used graphite with a little of blue lead. Compare to Series 1, every work in Series II was spent much more time to complete, over 10 hours approximately for each piece. There were totally 6 drawings in this series. The voting contest was ended in the end of May. I finished all the requests by June 2014.